Governor Neil Abercrombie of Hawaii met last week with Democrats in the state house to discuss the possibility of calling for a special session to address marriage equality. The governor had previously presented a draft of the bill to state lawmakers, and the “18-page” bill is under review. Governor Abercrombie has said he would decide soon whether to call a special session or wait until the normal session in January. Hawaii’s constitution leaves the issue of marriage to the state legislature; the amendment and the anti-gay marriage legislative scheme are being challenged in federal court in Jackson v. Abercrombie. 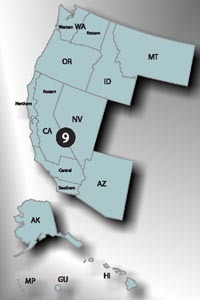 The case is at the Ninth Circuit, on a parallel track with Nevada’s marriage equality case, Sevcik v. Sandoval. Opening briefs in both cases are due this month and oral arguments will occur later this year. Honolulu, HI. Hawaii United for Marriage today welcomed Governor Neil Abercrombie’s call for a special session of the State Legislature to consider bringing marriage equality to Hawaii. The session will begin on Oct. 28, 2013.